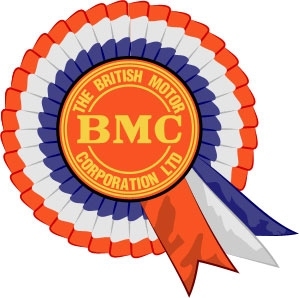 It contains three BMC Factory Films from the early 1960's, and is full of great shots of Oxfords, Cambridges, Wolseleys and other BMC cars being assembled and tested. - a beautifully made film looking at the production of the many different vehicles in the factories of BMC, and how by 1961 it had become Britain's biggest single exporter. MGs, Austin Healey sports cars and other BMC vehicles are seen being loaded onto ships for export all over the world. - a film made to counter the criticism of the quality of some BMC products. - a historic overview of how BMC was formed and a biography of William Morris.